Welcome - we invite you to look around and get a feel for our Church. If you're not currently a member of our Church - we'd like to take this opportunity to invite you to one of our weekly services. And of course, feel free to get in contact with our Church leaders. We hope you and your family will have a warm and spirit-filled experience with us as we worship and fellowship together at our services, events, and ministries in Sowerby Bridge. 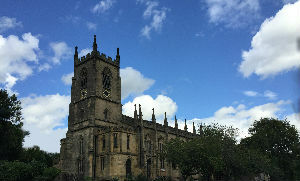 Christ Church is the Parish Church of Sowerby Bridge in the Diocese Leeds. It is a warm and welcoming place to come and worship, with regular services during the week, and other activities besides.